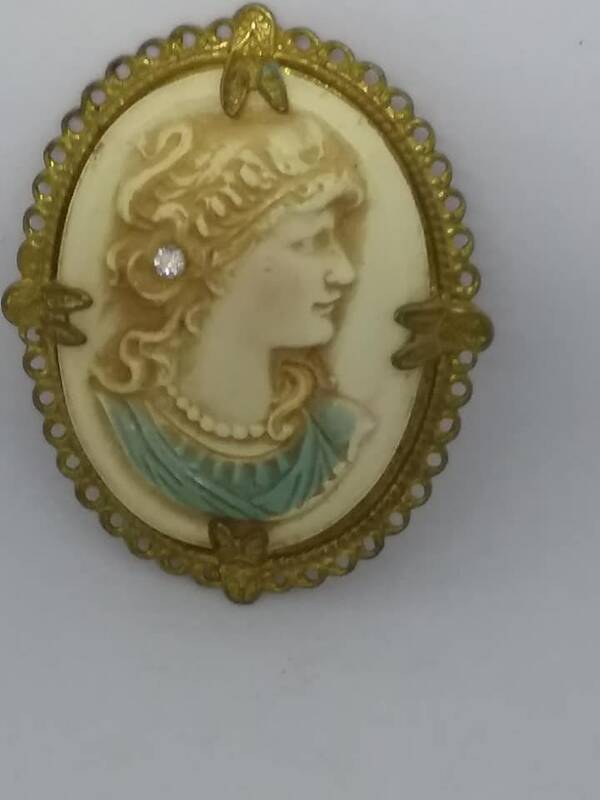 Vintage celluloid cameo brooch. 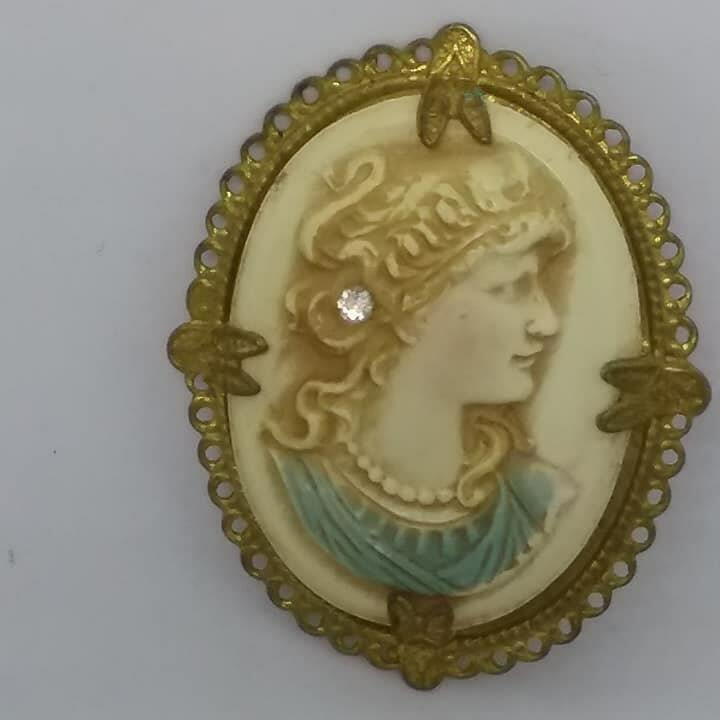 A gorgeous cream/ivory colored Victorian woman and background, with detailed hair and dress, beads, and a clear shiny rhinestone earring. Hair is highlighted with darker color in crevices, and the dress is a muted blue. 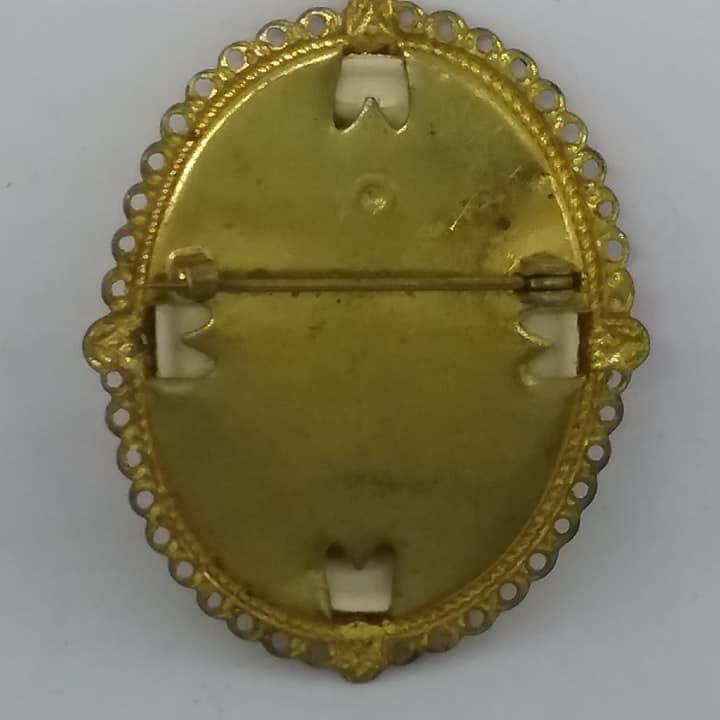 It is set by four large prongs on a golden tin material setting. 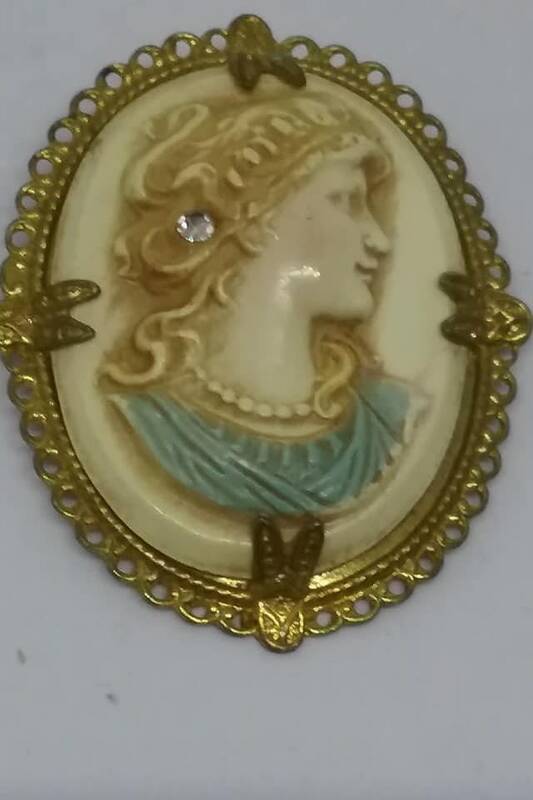 The back has a c-clasp, and the woman on the front is somewhat high relief. 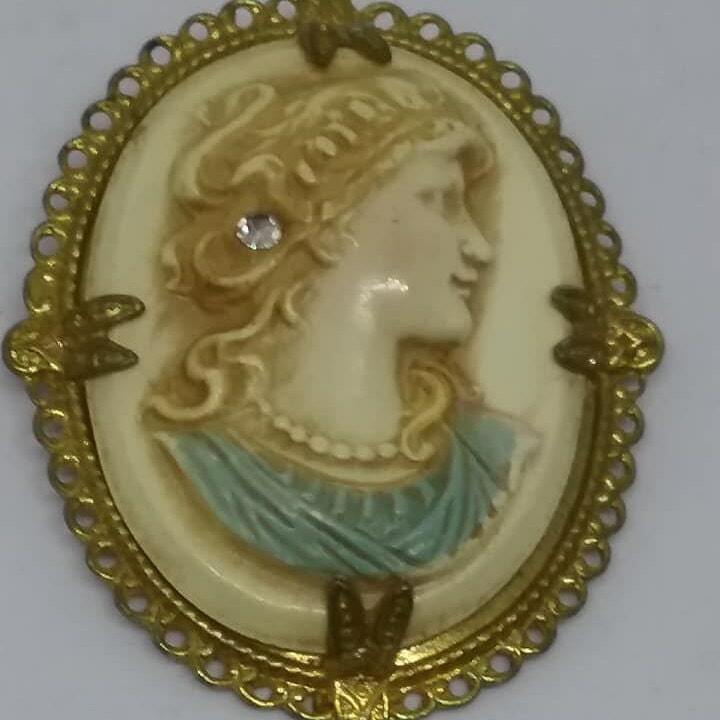 This is a light treasure that could be worn on a scarf or blouse and not worry about taring....she is a beauty!